Oh boy, we sure were surprised by the quality of this restaurant! Paleis van de Weemoed means something like: “Mood Palace”. We went here in the first week of 2015. Although we’ve been in before, we had never eaten here. The last time we went was during the Amsterdam Dance Event 2014. We just had some drinks back then, so this time we wanted to experience what Paleis van de Weemoed is all about. 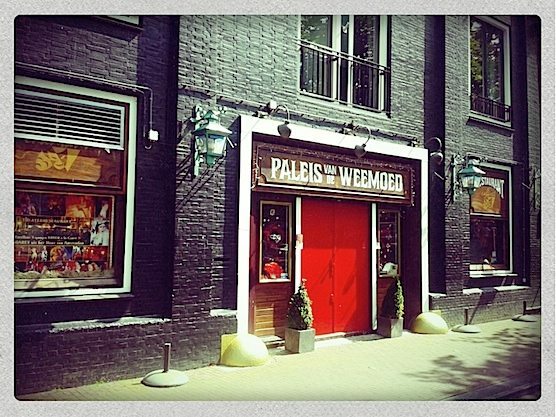 Restaurant Paleis van de Weemoed is located in the Amsterdam’s Red Light District. Just a 5 minute walk away from Central Station. We made a reservation for the dinner show. The only thing we knew beforehand was that there was going to be a live performance and great food. Sounded good to us! We arrived a bit early. Willem, one of the waiters, welcomed us in Restaurant Paleis van de Weemoed. He took our coats and hung them in the back of the restaurant. He explained the programme for the night and told us that the first performance would start within 30 minutes. We were very curious to find out what the performance would be… Willem asked us: What would you like to drink? We ordered a glass of wine and a beer. Willem gave us the menu and 15 minutes later we walked down to our table. The things that this restaurant has on the menu are delicious! Duck leg & duck breast with cannelloni, orange dressing and apricot chutney. Beef succade (Blade steak) smoked, gravy with Port and pickled onion. Terrine with smoked cheese, beetroot and pistachio nuts. All main courses are served with fresh vegetables and potato garnish. Extra to order: Hand carved fries with home made mayonnaise. Cheese platter. Four different cheeses and matching garnish. 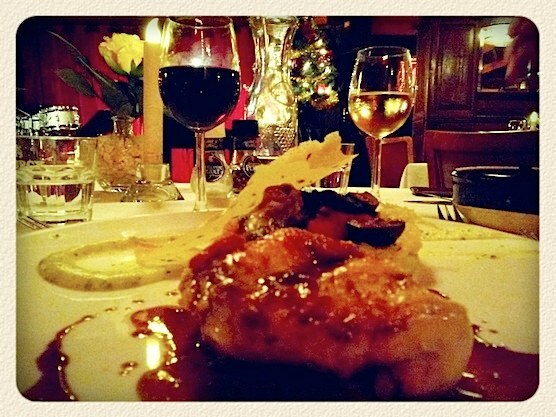 Great music, delicious dinner.. an unforgettable evening! 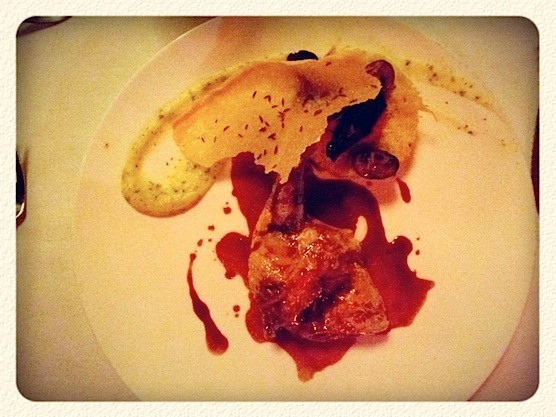 Our main course at Restaurant Paleis van de Weemoed. This was sooo good. Take us back, please! 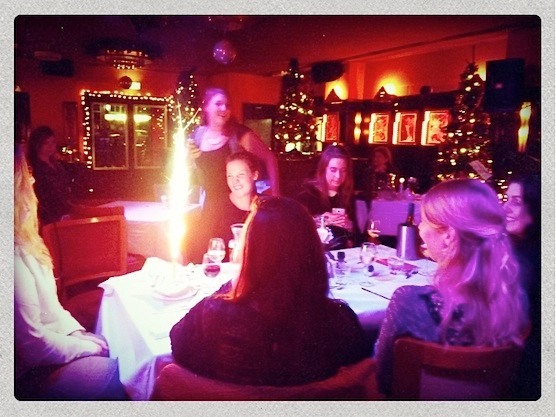 We sat next to a group of ladies who were celebrating a birthday; The ladies had big fun! 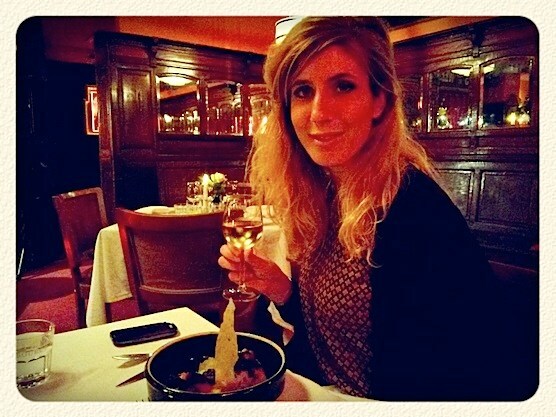 Restaurant Paleis van de Weemoed is a good place to celebrate a birthday. Very original as well. A lot of restaurants don’t know how to deal with proportions. Most of time, a main course is just too heavily filled with good that there is no more appetite for a dessert. But, this restaurant certainly understands how to deal with that. The starter and the main course were really good! Luckily we had some room left of a dessert. We had the cheese plate, combined with a lovely Port wine. We got like five or six different cheeses – These were so good, that we totally forgot to make a picture of them. Ah well, go experience it yourself. You definitely won’t regret it! 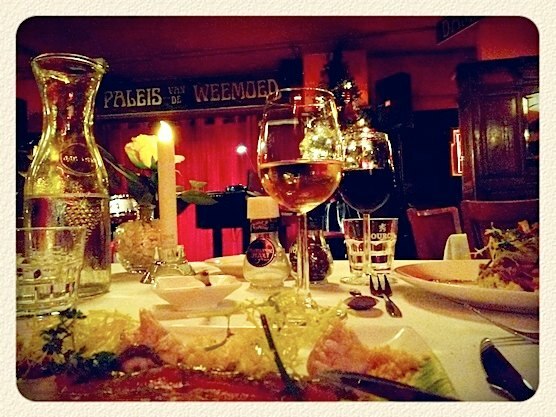 Restaurant Paleis van de Weemoed is an hidden diamond in Amsterdam’s Red Light District. It’s definitely going into our favorite hotspots list. We really had a great night here! 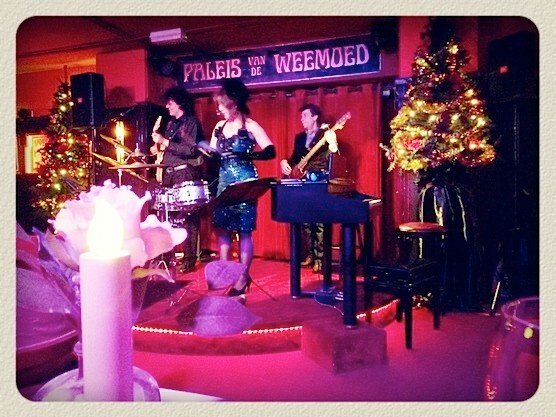 Combine a Red Light District Tour with an amazing dinner show in Restaurant Paleis van de Weemoed. We’ll start of with a walking tour through the area. 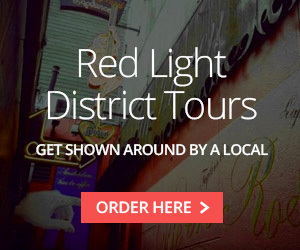 During the tour our local (English speaking) guide will tell you everything you need to know and see about the Red Light District: History, fun facts, secret alleys, old buildings, brothels, hidden art and much more! 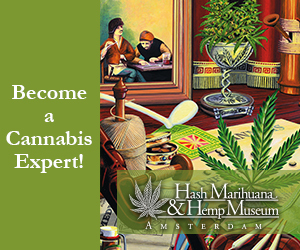 After this interesting and fun tour, we’ll bring you to this amazing hidden restaurant in Amsterdam’s Red Light District were you can enjoy the rest of the evening with your fellow travelers. – Arrive at restaurant: 7.30 p.m.
– Restaurant closes at 23.30 p.m. Enjoyed this article? Others who read this, also read this restaurant Hemelse modder.